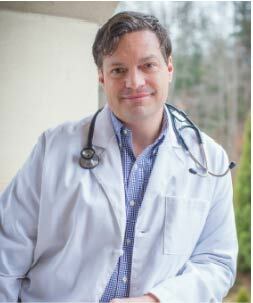 Todd J. Adams, MD, MPH, FACOG, is a board-certified OB/GYN practicing actively for patient in Davidson, Huntersville, Lake Norman, Mooresville, and Charlotte. At Lakeshore Women's Specialists, Dr. Adams and his staff specialize in all aspects of women's health including stress incontinence, dyspareunia, loss of sensation, and recurring infection. The highest quality care is paramount and the team uses the latest vConfidence technology to deliver restoration to patients in and around North Carolina. Dr. Adams graduated from the University of North Carolina School of Medicine in Chapel Hill, North Carolina, then completed his Obstetrics and Gynecology residency at Washington University School of Medicine in St. Louis, Missouri. While working as a resident and chief resident, Dr. Adams developed his skills in the use of minimally invasive surgery techniques and treatment of incontinence and pelvic support problems, pelvic pain and high-risk obstetrics. He opened his practice in Mooresville, NC, in 2003. A few years later, Dr. James G. Zolzer joined the practice providing even more years of knowledge, experience and wide range of expertise. Dr. Adams enjoys spending time with his wife, three children and Weimaraner, as well as his church family at The Cove. Call to schedule an appointment with Dr. Adams today.